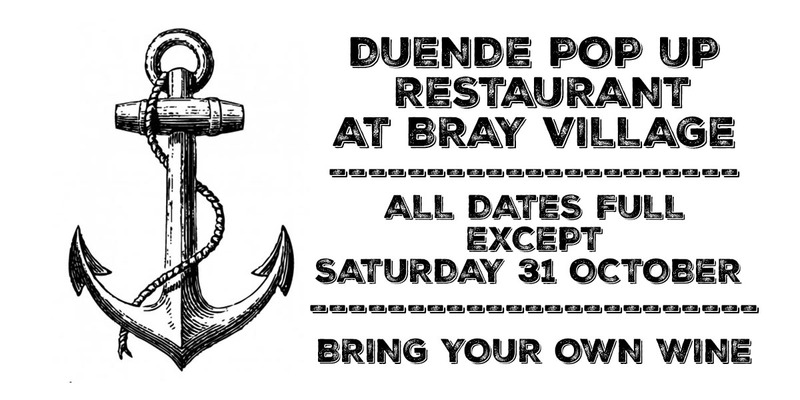 Bray is now fully booked, apart from October 31st. And we have new dates, at the Temperance Hall, Chesham. One weekend is Game focussed, October 13 & 14. 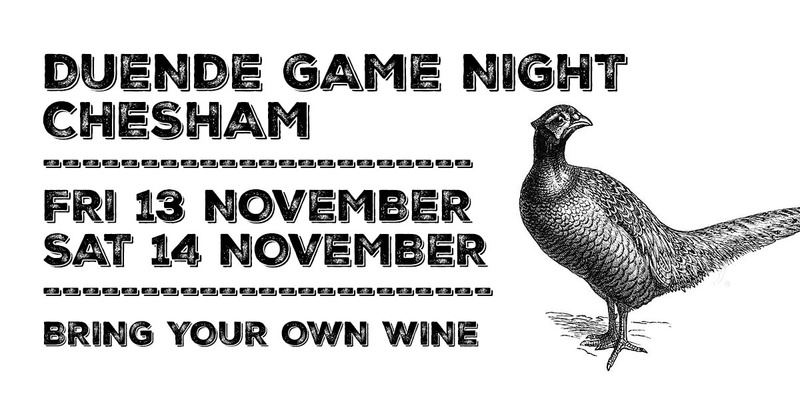 Those nights are £35 pp, BYO. 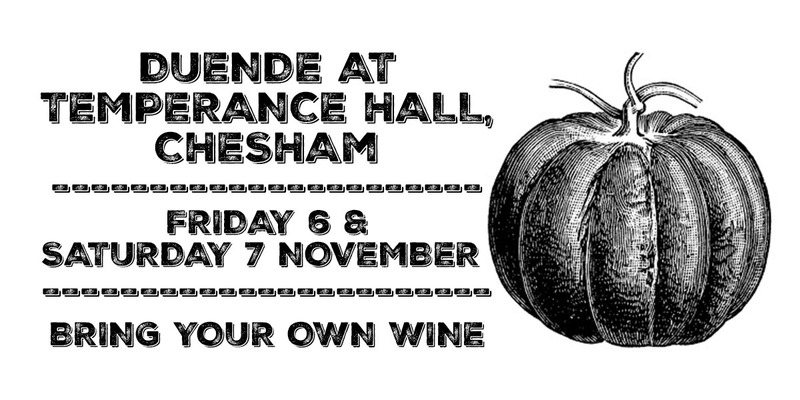 The other Duende night, October 6 & 7 is the usual £30 per person, and as ever, bring your own wine. Previous Post For one weekend only, Duende is popping up in Kyrenia, Cyprus.